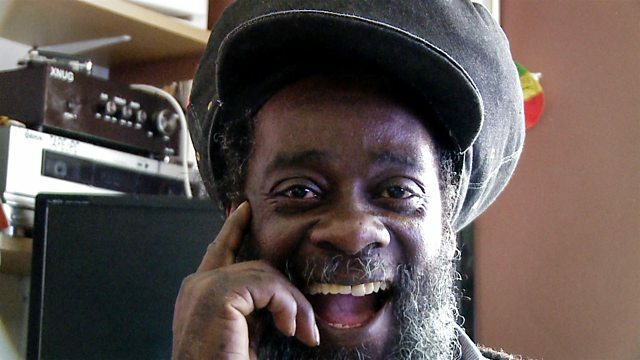 Documentary which tells the story of the renowned reggae record shop owner and music producer Blacker Dread, his extended family, friends and the wider Brixton community. After a ten-year absence, acclaimed film-maker Molly Dineen is back with a new feature documentary, Being Blacker. The film tells the story of the renowned reggae record shop owner and music producer Blacker Dread, his extended family, friends and the wider Brixton community. Made with Dineen's characteristic intimacy, the film focuses on a tumultuous time in Blacker's life - the death of his mother and the prospect of his first prison sentence. While the documentary focuses on Blacker's journey, it also features a wider cast - best friend and former armed robber Naptali is struggling to go straight, sister June is trying to maintain family ties after their mother's death, and partner Maureen is ensuring their youngest son maintains his exceptional school grades in Jamaica, having been excluded from school in the UK. With the unprecedented access granted by her old friend, Dineen shines a spotlight on the struggles the subjects face on a daily basis. Being Blacker offers a particular understanding of both the challenges and triumphs of family and community togetherness, as well as a unique insight into being black in Britain in 2018. "I have to face the consequences of that predicament"
Seanie B: "Everything starts with a seed"